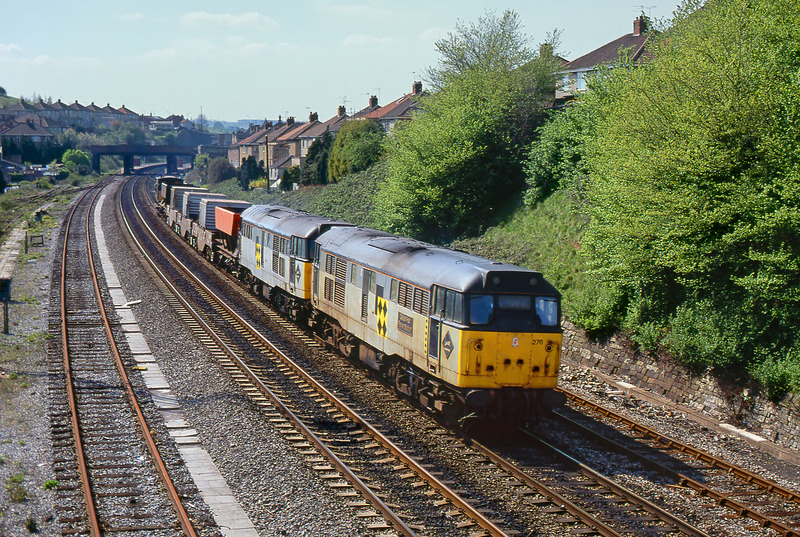 31276 Calder Hall Power Station & 31217 passes the derelict Malago Vale carriage sidings, near Bristol on 5 April 1990 with the 7M53 14:00 Bridgwater to Sellafield nuclear flasks, running early as was usual at the time. Both locomotives were allocated to the Crewe FHAC pool at the time, and carry Trainload Coal livery. In reality of course it was nuclear material rather than fossilised trees that they spent their time ferrying about.